Are you self-conscious about showing your smile to other people because of your stained teeth? Certain foods and drinks such as coffee and red wine can leave your teeth discoloured. Tobacco is another common cause of tooth discolouration. Fortunately, tooth discolouration is one of the easiest cosmetic problems to correct. All it takes is a cosmetic dental procedure called Professional Teeth Whitening, which can be administered by your dentist at The Glenroy Dental Group. There are many ways to whiten your teeth, but not all of them can guarantee the results you want. You may have already tried DIY whitening or over the counter tooth whiteners, which include mouth rinses, toothpastes, and strips. If you did it is likely that found yourself disappointed with the result. Over the counter whiteners and other products that promise to instantly whiten your teeth without the involvement or recommendation of your dentist may only provide a few shades of lightening. They can also take months to show any effect. These products may contain low-quality whitening agents or have very low levels of hydrogen or carbamide peroxide (two ingredients common in home-whitening treatments). If you want to achieve results that last, you must consult a dental professional to get treatments that contain professional-grade bleaching formulas. What Teeth Whitening Option is Best for You? 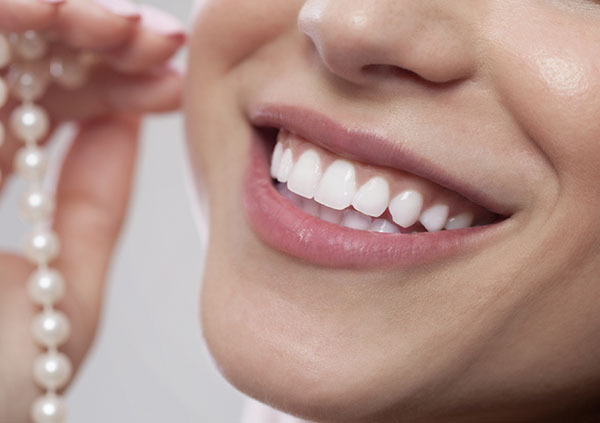 If you want to get results right away, you may want to consider 1-hour laser teeth whitening. This type of dental whitening can whiten your teeth up to 8 shades in an hour, sometime as quickly as 40 minutes! Because of the sophisticated equipment and advanced technology in cosmetic dentistry, you can get a white smile almost instantaneously. The special light (laser) your dentist uses dramatically accelerates the whitening process. A good candidate for laser whitening must have a healthy set of teeth. If your teeth are in poor shape or are extremely sensitive, your dentist may recommend other treatment. If you are not a good candidate for laser whitening, but still want to get whiter teeth under the guidance of your dentist, then choose a take-home professional whitening kits. While your dentist provides the treatment, you can do the actual procedure in the comfort of your own home. The procedure uses a custom-made tray that is designed to fit your mouth comfortably. Like laser whitening, a professional grade home tooth whitening is safe and effective as it is only dispensed by dentists. With a take-home teeth whitening kit and a professional grade whitening solution you can expect whiter teeth within the first few days of use. Many of these whitening systems are also appropriate for patients with sensitive teeth. To learn more about your choices for achieving a whiter smile, schedule your teeth whitening consultation today with your Glenroy dentist here at The Glenroy Dental Group. We only offer safe, effective and lasting teeth whitening systems. At The Glenroy Dental Group, you are one step away from having the smile you always wanted. Your trusted Glenroy dentist will give you a complete overview of all your treatment options, costs and durations. The Glenroy Dental Group offers FREE Teeth Whitening Consultation and teeth whitening beginning from only $150. To claim your offer call us on (03) 9306 6511 or make an appointment online today!